JAPAN TIMELINE | FREEPLUS Inc.
JAPAN TIMELINE is WEB platform for local government in Japan to transmit the tourist information to travel agency in the world. 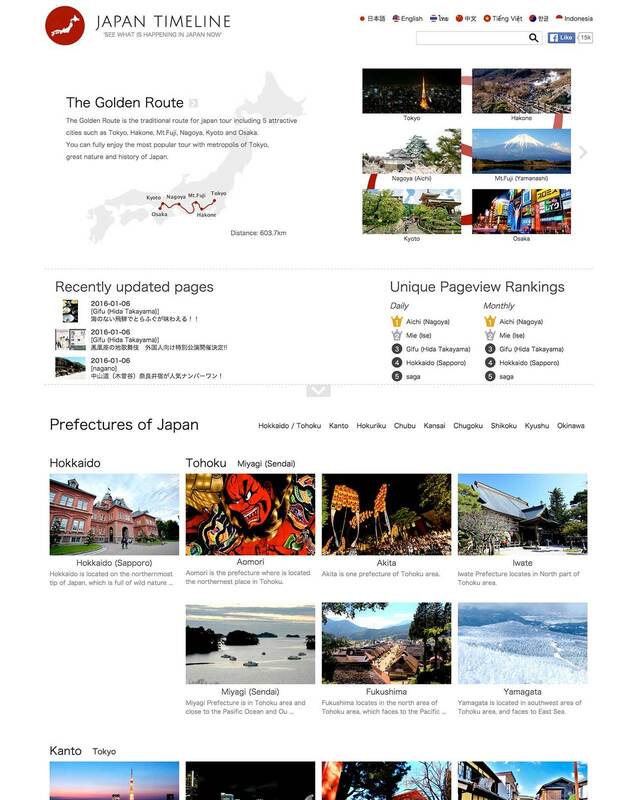 Although it is website mainly for overseas travel agency, all people interested in Japan can browse. Each local government has own account and post latest tourism information. JAPAN TIMELINE has its characteristic that not only showing basic tourist information but also updating "the real information that happens now in this area"
Offering local government to transmit the “current” information which only they have to the world. All information is listed in chronological order and is available in six different languages.